What happened to this game which used to have a great potential? Lot of great people have left it, and there is something wrong. Not only the number of active players has decreased, but the purpose of the game is slowly loosing its sense. Achtung Die Kurve prepared the path for CurveFever 2, and now time has come for CurveFever 3. CurveFever used to be a team of developpers in the past, now it is exactly the opposite, it is a group of people interested into the same goal : creating a game in order to generate profit. CurveFever was the name of a game, now it is the nickname of a company. The direction things have taken here seems almost impossible to change, but you people can. Tread lightly dear players, do not forget, it is a matter of time before the difference between player and customer becomes only a thin line. None of the things on that list are new in any way? And what do you think pays for the developers (a team of 5 now)? And the Multitude of servers used to run the game, website, clans, tribune, etc. I must admit I am quite surprised by this answer. I fully understand the need of money to finance the servers, but I can not support nor agree with the aggressive advertising. Yes, when you constantly keep asking someone to "Disable his adblocker" it's gone beyond any boundaries. Not only the default ads are terribly annoying (exactly, I'm speaking about the 'japanese/russian girls' ads and the targeted g2a offers which fit to the colors of CF's theme) but the picture replacing those when you have an adblocker are even worse. I repeat and I will keep repeating, it's up to the user to choose whether he's browsing with or without an adblocker. Moreover, those ads are known to only yield a very tiny amout of money. Indeed, the costs and consequences of those ads are bigger than the benefits you get. The question is, is it really worth it, to almost ruin the user experience because those ads will generate a small revenue? I truly understand the difficulties of developping a game and keeping it running, but the fact you're 5 people doesn't justify this situation. How many developpers are actively working on CurveFever 2? How many of you are actually familiar with the game code? Truth is, only a few of you. Most of the team has their eyes focused on CurveFever 3. Unfortunately you are working for someone zeroZshadow, and that someone appears to have lost sight of the main purpose. Most of the people are not complaining about the points I mentionned in this topic, is it because they don't feel concerned about it? Are they already accustomed to the painful mariage between profit and free games? I don't know. I decided to talk about it because I feel something is wrong, there is a difference I can feel not only in game, but also here on the forums. Pursuit of profit? Where is the profit? Advertisements are normal in any free internet game. And (in my opinion) people who use an adblocker to disable a 30 second ad, and refuse to give a little back to the website they love, are not really in a position to talk about the running of it. I mean really? You refuse watch a 30 second ad because it makes you bored? That level of intolerance is unbelievable lol. And as is also normal, you have to make a contribution to get the perks. The price is minimal too. You should be thankful they are even making CF3. And ofc they don't all know the game code. The game needs visual appeal, advertising and a business plan. Are all coders geniuses and can do all of this at once? What is 'ridiculous' is that you obviously missunderstood the meaning of advertising and based your whole post on that idea. 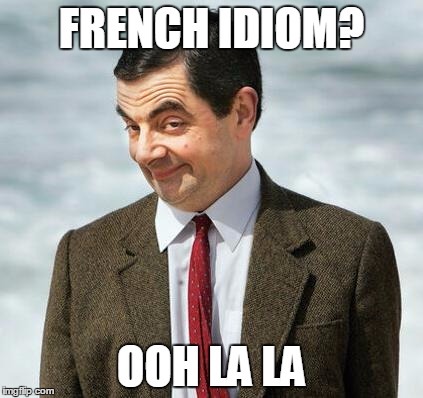 Let's not even mention the french idioms you're using and the fact you're hiding your identity. Pursuit of profit? Where is the profit? The profit mainly finds its roots in the premium subscriptions. And (in my opinion) people who use an adblocker to disable a 30 second ad, and refuse to give a little back to the website they love, are not really in a position to talk about the running of it. I'm afraid you're trying to convince yourself the world thinks like you do. It is thankfully not the case. An ad that is totally irrevelant (e.g : a car promotion while loading the game) has nothing to do with the game and the fact a majority of advertisements are not adapted to the places where they belong inevitably underlines the developpers' lack of care. Once again, a flawed conception of the reality. You are talking about subjects you don't even understand and unfortunately you are pushing the devil's advocate role too far. Since when do the players owe something? You should be thankful they are even making CF3. This is particulary interesting because it seems this setence of yours is exposing your eulogy. Since when do players owe the game makers something? Do you know there are other free games that exist without this flawed concept of advertising you're trying to defend deliberately? Truth is, excessive advertising a common practise among the companies. For instance, it was the same case for other huge-traffic based games such as Agar. When you own a game that not only has a big player base but also a wide traffic on the website, resisting to the temptation of deploying any advertisement is a living hell. That is so mean! How else do you think they're getting income from this game after spending hours on it? Similar to what haru's post, money doesn't grow on trees! If you're going to make such a post at least think of the business side of it. A few corrections on the post above. I'm no longer a Curve Fever employee since the 3rd of June. The advertisements on the front page simply show an alternative image when no advertisement can be loaded. And since advertisements are the main source of income for curve fever (not premium) they kindly ask you to whitelist the site. As for the "terribly annoying" advertisements. These are simply targeted ads by google, we have no influence over what is show here. If you are seeing russian girls, then google has somehow decided that this is what you are interested in. Of course it is up to the user to decide if he/she wants to use an ad blocker, but that means curve fever is free to ask you kindly not too. It does fund them after all. Curve Fever is a free game and the current monetization has been in place for quite some months now, maybe even years. Instead of focussing on 'corporate greed' and get more money out of an old game, we invest the money earned with Curve Fever in making a new game that will appeal to a lot of new players and bring a new game mode to our veteran Curve Fever players: Arena mode. It is true that we are trying to make some money to cover up the costs of the servers, the programming work put into the game, paying the artists and designers. But a game also has to be able to run itself, and in our case, ads make half of our profit. We can't live without them, but we also don't try to make them too annoying, only showing you 1 premium ad before entering the game. If you don't like ads, and do like our game, consider buying a premium account. It is really much appreciated.